The first Dalek story. Its no exaggeration to say that without this serial Doctor Who probably would not have lasted more than 13 weeks, never mind 50 plus years. A massive success and cultural phenomenon when it first aired, the Daleks still holds up 5 decades on as one of of the greatest sci fi stories of all time. The TARDIS takes the Doctor, Ian, Barbara and Susan to a seemingly dead planet. They discover both a petrified jungle (as well as the remains of petrified animals) and an apparently abandoned city. The Doctor wishes to explore the city, but the other three wish to leave. Later that night as they hear a tapping on the TARDIS door (with Susan having spotted something moving in the distance earlier.) Susan, Ian and Barbara become scared and demand to leave right away, but the Doctor still desperate to explore pretends that something has gone wrong with the TARDIS. He claims the fluid link’s top has come undone and that the mercury has poured out. The Doctor tells his companions that the only chance they have of finding any mercury to replace it is in the city. The foursome explore the city the next morning, but they quickly become separated and Barbara is taken by mysterious and hostile metallic creatures. The Doctor, Susan and Ian meanwhile discover a giga counter that reveals the air of this planet is polluted with radiation. With all of them having been poisoned by the polluted air, the Doctor reveals his bluff to a furious Ian and Susan. The Doctor is all set to leave Barbara, but Ian forces him to stay by stealing the fluid link. The Doctor, Ian and Susan are captured by the same mysterious metallic creatures who took Barbara. The Doctor is later questioned by the creatures. The creatures reveal that they are called the Daleks and that they were originally humanoids. The Daleks also shared their world with another race of humanoids called the Thals. Both species waged a nuclear war with each other which eventually destroyed the surface of their planet (Skaro.) Both species where horribly mutated as a result of the war and the Daleks housed themselves inside robotic shells as a form of protection from the polluted air. The Thals meanwhile managed to create a drug which allows them to survive the polluted air. The Doctor realizes that the box that was left outside the TARDIS earlier is a sample of the Thals anti radiation drugs and he makes a deal with the Daleks that one of them will go outside the city and retrieve it and they will split it with the Daleks. The Daleks who want the drug so that they can leave their machines agree. Of course they really have no intention of allowing their prisoners to have any of it. The Daleks are unable to leave their own city as their machines that keep them alive are powered by the metal floors of the city. Susan is sent outside as being the youngest she is the least affected (Ian was also shot by a Dalek whilst trying to escape earlier) Outside in the jungle Susan retrieves the box, but is cornered by a Thal. She discovers that the Thals mutation cycle has come full circle and that they have evolved back into their original forms, humanoids. The Thals have become pacifists as well and want to make peace with the Daleks, however they still don’t entirely trust them and so they give Susan a second supply of anti radiation drugs. The Thals had left the first supply earlier specifically for the Doctor and his friends. When Susan reaches the city the Daleks discover the second supply but allow her to keep it because they want to use her to help set a trap for the Thals after having discovered that she made contact with them. The Daleks get Susan to write a note to the Thals saying that the Daleks want to make peace with them and that they are to collect food from their city tomorrow. However the Daleks actually intend to exterminate the Thals as soon as they enter the city. The Doctor and his friends are able to escape by killing the Dalek guarding them by pulling it over a cloak, separating it from the metal floors. The Doctor is once again happy to leave the Thals to their fate, but Ian remains behind and warns the Thals, though not before the Daleks manage to kill the leader of Thals in cold blood. The rest of the Thals escape to the jungle and still believe that they can make peace with the Daleks, but Ian warns the Thals that the Daleks will not rest until they have destroyed them as they hate the Thals simply for being different. After failing to convince the Thals to stand up for themselves the Doctor and his companions are prepared to leave, but ironically the Doctor discovers that the Daleks took the fluid link from Ian whilst they were in the city. Meanwhile the Daleks discover that the anti radiation drugs are like a poison to them. The Daleks have in fact evolved to become dependant on radiation and the reason they can’t survive outside of their metal casings is because there isn’t enough radiation in the air to sustain them. 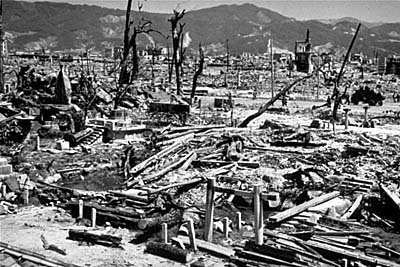 Thus they decide to explode another neutron bomb that will pollute the air not only to the extent that they will be able to survive on their own, but that the Thals will not be able to survive even with their anti radiation drugs. The Thals meanwhile split off into two groups. One side led by Ian and Barbara attack the back of the city making their way past the lake of mutations and through a treacherous cave system where several of Thals are killed along the way, whilst the other team led by The Doctor and Susan attack from the front. Though the Daleks are able to capture the Doctor and Susan, eventually all of the Thals launch an all out attack on the city. The Daleks have the upper hand at first, but the Thals are eventually able to get the better of the metal monsters by knocking out their power source. With their power source shut off the Daleks die and their bomb does not go off. Having retrieved their fluid link the Doctor and friends soon set off for new adventures leaving the Thals to rebuild their world. Hopefully that’s the last The Doctor will see of those metal bastards. Dalek / We do not have to change to suit the environment, we will change the environment to suit us. Dalek / The only interest we have in the Thals is their total extermination. The Doctor/ You wanted advice you said. I never give it. Never. But I might just say this to you. Always search for truth. My truth is in the stars and yours is here. Alydon/ There is no indignity in being afraid to die, but there is a terrible shame in being afraid to live. Alydon/ If only I knew why the Daleks hated us. If I knew that, I, I could alter our approach to them, perhaps. Ian/ Well, he appealed very sensibly to them. Any reasonable human beings would have responded to him. The Daleks didn’t. They obviously think and act and feel in an entirely different way. They just aren’t human. Ganatus/ Yes, but why destroy without any apparent thought or reason? That’s what I don’t understand. Ian/ Oh, there’s a reason. Explanation might be better. It’s stupid and ridiculous, but it’s the only one that fits. Ian/ A dislike for the unlike. Alydon/ I don’t follow you. Ian/ They’re afraid of you because you’re different from them. So whatever you do, it doesn’t matter. Dyoni/ What would you have us do? Fight against them? Ian/ I didn’t say that. But you must teach them to respect you. Show them some strength. 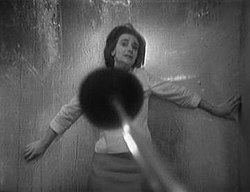 The first Dalek story was a truly groundbreaking piece of television when it was first broadcast in 1963 and I think it still holds up by and large to modern audiences. On the surface its a fun, rip roaring, boys own adventure, filled with evil robots, a journey through a perilous cave system, lake monsters and even a bit of romance thrown in between Barbara and one of the Thals. However underneath its a very deep story that tackles issues such as race hatred, xenophobia, the threat of nuclear power, and standing up for yourself. The Daleks were very clearly based on the Nazi’s. They are consumed with race hatred for the Thals (who in quite a nice touch are all portrayed as Aryans, the Nazi’s idea of the perfect human being). At one point in the story the Daleks even perform the Nazi salute! The Doctor and friends meanwhile serve as quite a good parallel for Winston Churchill’s role in the Second World War. In both cases we have a fascist xenophobic society that is a threat, but both Britain and the Thals refuse to do anything about it due to the memories of a previous conflict. In Britain’s case it was the first world war, whilst in the Thals case it was a global conflict with the Daleks. Both conflicts were pointless and have caused both sides to never even consider the possibility of war again. However now ironically a war is the only choice they have. The enemy they are facing is beyond reason as it has a “dislike for the unlike” and therefore cannot possibly be appeased. The Doctor and his friends meanwhile much like Winston Churchill have to convince the war weary society to abandon their policy of appeasement against the enemy and fight them. The story does not glorify war however. It shows many of the Thals die horrible, pointless deaths and it even manages to make us show some sympathy for the Daleks too in the final moment where the Thals stare round bitterly at the dead Daleks and comment “if only there had been another way”. Whilst the Daleks primarily serve as a metaphor for the Nazis, I feel they can also be seen as representing many of histories other greatest monsters. Perhaps unintentionally. I have compared the beliefs of the Daleks in this story to those of General Chivington’s many times in the past and I still say there are valid comparisons. Its the way the Daleks don’t even look on the Thals as their enemies in this story. The Daleks much like how Chivington looked on the Native American’s he slaughtered during the Sand Creek Massacre view the Thals as nothing more than pests to be stamped out. 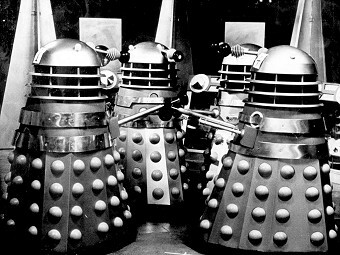 You can see how the Daleks are every bit as similar to monsters like Chivington as they are to the Nazis. I always thought it would have been brilliant if they had done a historical story set during the time of the Sand Creek massacre and had the Doctor witness this event. Viewers ironically would probably think the producers were making it up when everybody started chanting like Daleks but it would be completely true. The Daleks also plays on contemporary cold war fears too. The barren, dead irradiated world of the Daleks not only represents what our world could have become had the cold war led to a third world war, but the Daleks planning to poison the air of Skaro just to eradicate the Thals is comparable to the British’s use of agent orange to destroy the crops, bushes and trees of communist insurgents in Malaya during the Malayan Emergency and later the American’s attempts to bomb Vietnam “back to the stone age” during the Vietnam war. In all three cases we have people who are willing to destroy their enemies entire environment in order to make sure that there is no chance they can survive afterwards. In much the same way as Skaro’s environment was still polluted centuries after the war, then certain areas of Vietnam are still polluted after the Vietnam war 4 decades on. I think the reason The Daleks works just as well as a metaphor for the likes of Chivington is because Nation whilst drawing inspiration from the Nazis and World War 2, ultimately made the Daleks into more than just a metaphor for Nazis. The Daleks in this story (as well as many others penned by Nation) represent race hatred and man’s inhumanity to man in general. This has in turn also allowed this story to remain relevant in the decades since. 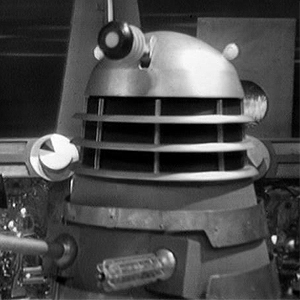 For today’s audiences the Daleks can be seen to represent ISIS for instance just as much as the Nazis. When you look at this article which explains why ISIS wants to destroy the west its not too dissimilar to Ian’s explanation to the Thals as to why the Daleks hate them. Whilst Terry Nation wrote a fantastic story, credit must also go to Raymond Cusick who designed both the Daleks and their city. The Dalek design is really a work of art. It works on just so many levels. On the one hand its the only genuinely alien looking creature in almost all of sci fi. There is absolutely nothing even remotely human about it. It has no legs, no arms, no face. Its also not like anything we can really relate to either. Its also not just a giant reptile, insect or something like that. Its really not like anything on earth. At the same time there is a certain attractive aspect to the Daleks design. Its so striking and unusual that you can’t help but be drawn to it. 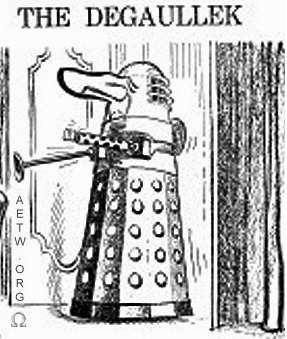 At the same time it cannot be denied that there is a certain ridiculous aspect to the Dalek design too, with their sink plunger arms, egg whisk guns etc. Still I think that actually works in their favour too. The thing about the Daleks is that they are meant to be pathetic creatures, essentially a crippled race who despise others like the Thals because they are scared of them. It makes sense when you think about it. A Thal can kill a Dalek by pushing it over a rug! With this in mind you can see why they would be scared even with all of their technology that the Thals could kill them. Of course its a brilliant example of a self fulfilling prophecy as if the Daleks hadn’t been so desperate to destroy the Thals then the Thals would never have harmed them. The designs for the jungles of Skaro and the Daleks city are also spectacular too. The jungles are suitably dark and gloomy and the creatures that inhabit them are utterly repulsive. We only get fleeting glimpses of them, but it gives you an idea of the horrors that lurking in these petrified woods and you really feel Susan’s terror when she is forced to go through them alone. The city’s design meanwhile much like the Daleks themselves is attractive in some respects the way its so futuristic and advanced looking. It evokes the classic Metropolis look from the outside, yet on the inside its actually quite claustrophobic and smothering. Everything looks so cramped and barren and sterile, and there are all of these tiny little corridors that almost look like never ending caves where the Daleks can emerge from at any moment. Finally the voices of the Daleks are also superb in this story too. David Graham and Peter Hawkins, two of the most acclaimed voice actors from the 60’s, voice the Daleks in this adventure (and would go on to for the rest of the 60’s). The two actors from the start don’t just make them sound like robots, but add a real hysterical quality to the monsters, giving the impression right away that there is something trapped in there almost like a disembodied spirit wanting to get out. Its not just the Daleks however that make this story so great. It also features a very important development in the character of the Doctor too. At the start of the adventure the Doctor could not be a more unsympathetic character. He tricks his friends into exploring the city (risking all of their lives in the process), and he is also shown to be prepared to leave the Thals and even Barbara to die just to save his own life. However by the end of the story the Doctor is shown to take a more moral stance against the Daleks. We even see him at one point be willing to give up the TARDIS to the Daleks to spare the Thals. I often thought it was this battle against the Daleks that helped change the Doctor. Up until now the Doctor had never bothered to interfere in the affairs of other life forms. However when it comes to the Daleks he can see that they are pure evil. The battle between the Daleks and the Thals at first might seem no different to the fight between the two cavemen tribes in the preceding story to the Doctor. Just more primitives squabbling, but he soon comes to see that the Daleks are actually willing wipe out an entire race just for existing. This finally makes the time lord realize that there are times he needs to get involved and really begins to shape the hero we know and love from the later stories. The Doctors companions Ian, Barbara and Susan are always all used very well here. I think Terry Nation was always able to find something for all of the companions to do unlike a lot of other writers for the show. Indeed often the Doctor would be limited to only having 1 companion because most writers struggled to think of anything to do with more than two main characters. Ian gets so many amazing moments from standing up to the Doctor when he discovers his deception, to forcing the Doctor to face the consequences of his actions and save Barbara, to arguably the characters defining moment when he manages to convince the Thals to fight against the Daleks. At the same time Barbara isn’t wasted either. She’s shown to be every bit as strong as Ian or any of the men around her are as she ventures through the treacherous caves and battles Daleks head on. It does annoy me when people go on about how the female companions in Classic Who always just being useless screaming damsels. Barbara the first ever female companion in the series alone proves this wrong in this story. Susan meanwhile sadly was often a more useless companion. There was certainly potential for her to be interesting, but sadly it was often squandered. In this story however we get to see a more courageous side to Susan the way she has to venture out into the hostile jungles of Skaro on her own. I like the way we see her scared, but she ultimately manages to overcome her fear and do the right thing. She is also the one who is able to make contact with the Thals first and therefore plays one of the key roles in the story too. I don’t mind the fact that the Doctor doesn’t play as heroic a role in this story compared to Ian, Barbara and even Susan. Unlike with the later Doctors the character is not meant to be a hero here. He is meant to be a more morally grey, almost villainous character. He is still by far and away the smartest member of the team, its just that at first he is only in it for himself. The Daleks is also very well directed too. Not many people have time for Richard Martin, who directed some of the episodes of this story, but I think the Daleks is his best work on the series. One of my favourite moments is when the Daleks slowly advance on the Thal leader as he is trying to plead with them. This scene always creeped me out as a child. The Daleks seem more like predators, slowly stalking their prey waiting for the right moment to strike. Richard Martin also makes use of the fact that the Daleks are almost able to blend in with their surroundings to make it appear as though they are emerging from nowhere. I also loved the effect when the Dalek blasts the wall too. In fact the production values all around for this story are brilliant, with the sequence involving the mutant pulling the Thal into the lake holding up even by today’s standards and certainly being very well done for its time. Of course this is not to say that the first Dalek story is perfect. It definitely drags a bit after the Doctor and his companions escape the city. Originally this story was to have been just 6 episodes, but it was extended at the last minute to 7 and it definitely shows in the final product. Still other than this there really is very little to fault with this adventure and I’d not only rate it as one of the best Doctor Who stories from the 60’s but one of the best stories in Doctor Who’s long history. The Daleks is arguably one of the most influential pieces of British television ever made. It was this story that really made Doctor Who a national phenomenon. Prior to this, though the reaction to the first serial, An Unearthly Child had been mostly positive, it had not been a big ratings success. By the end of this serial however Doctor Who was pulling in viewers of over 10 million. The main reason for this was the Daleks who were an instant hit with viewers (particularly children.) They were unlike anything seen on tv before or since. Totally inhuman monsters with no redeeming features whatsoever, instantly imitable, with a striking and totally unique look. For the next few years Britain would be gripped in what has become known as Dalekmania. Not only would the monsters be brought back to Doctor Who 6 times over the next three years ( including in a 12 episode serial, The Daleks Masterplan.) 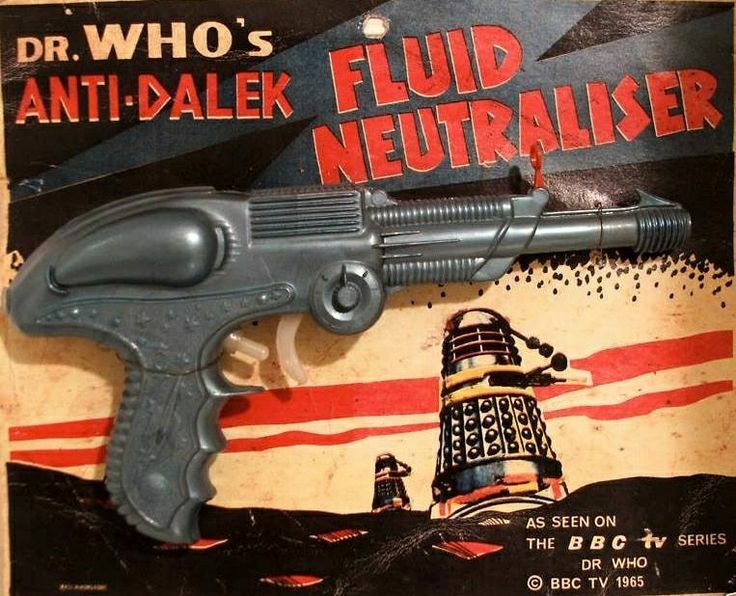 But there were also Dalek toys, comic books, water pistols, films, and even a song released to cash in on their fame. Dalekmania was more than just a fad. It not only ensured Doctor Who’s success for decades to come, but it also really helped to make science fiction mainstream in the United Kingdom for the first time. Prior to Doctor Who there were a few successful mainstream Science Fiction series such as Quatermass and the comic book series Dan Dare. However neither of these had quite the reach that Doctor Who did during Dalekmania. Dan Dare’s sales for instance at the absolute height of its popularity were over 3 million. For a comic book this was absolutely exceptional (and dwarfed those of any of its rivals, including even Batman, Superman and Wonder Woman.) However thanks to the Daleks, Doctor Who was seen by almost 5 times as many people through the 60s. 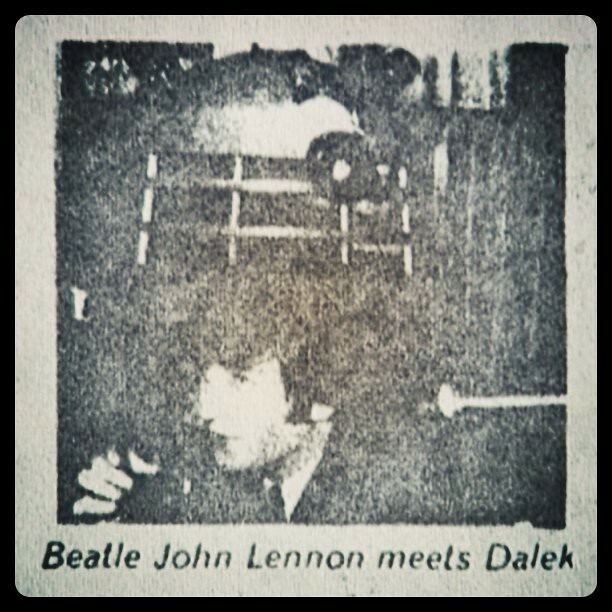 At one point in the United Kingdom the Daleks actually exceeded the Beatles in terms of popularity. -Terry Nation creator of the Daleks. Naturally as a result of this Sci Fi was no longer seen as a niche thing in the United Kingdom and for the next 20 years there would be many more mainstream Science Fiction series. These included the various Gerry Anderson series such as Thunderbirds and Sting Ray, as well as Moonbase 3, Doomwatch, Adam Adamant Lives, The Prisoner, Blake’s 7, UFO and The Survivors. The 60s- 80s definitely represents a golden age for sci fi and fantasy in the United Kingdom and it was definitely Doctor Who that kick started it all off, with the Daleks in turn being what led to Doctor Who’s massive success in the first place. In addition to its important place in Doctor Who history, The Daleks would also later be remade as a film, set outside of the tv series continuity titled “Doctor Who and the Daleks” starring Peter Cushing as Doctor Who, a human scientist who had built a time machine in his back yard. The movie proved to be tremendously successful, so much so that a sequel was made Daleks Invasion Earth 2150 AD. Elements of this story would also be reused in the third Doctor story Planet of the Daleks as well. Finally scenes from this story including the Doctors first historic meeting with the Daleks would later be remade for the 2013 drama An Adventure in Time and Space. The Daleks as we have seen drew from real life historical events with the monsters being based on the Nazis. However in terms of creative influences there are really two major sources. HG Wells The Time Machine and Dan Dare. Wells Time Machine revolves around two splinter groups of humanity. The Morlocks, deformed, but more advanced humanoids, and peaceful, beautiful, but placid Eloi. The Daleks similarly revolves around one more advanced, but withered race persecuting a more physically beautiful, but weak race. Other than that though I don’t really see much similarities between the two stories if I’m honest. The Daleks and the Thals are not after all from the same race like the Morloks and the Eloi. Furthermore I feel The Time Machine is more about class struggles and society, where as the Daleks is obviously about race hatred instead. Of the two them I’d say Dan Dare is the bigger influence. I think people tend to over look the massive influence Dan Dare had on Doctor Who in comparison to other things like H.G Wells because Dan Dare is sadly completely overlooked today. Also Dan Dare being a comic book is sadly somewhat looked down on too. The first Dan Dare story Voyage to Venus sees Dan and his friends encounter two races on the planet Venus, The evil, cold and logical Treens, and the blonde haired, peaceful and beautiful Therons. The Treens are commanded by The Mekon, and live in a cold sterile city, surrounded by a lake of hideous monsters. Many centuries ago the Therons interfered in the development of the Treens in an effort to help them which instead results in the Treens becoming more powerful to the point where they conquered the earth and destroyed Atlantis. The Therons vowed to never interfere in the affairs of other life forms again and at first refuse to help Dan fight against the Treens until Dan shames them into doing so. As you can see there are a lot of strong similarities between the two stories, and furthermore both also tackle the same themes of race hatred, fascism and standing up for yourself too. The Treens much like the Daleks were based on the Nazis, but much like the Daleks I feel they can also be used as a metaphor for other evil men throughout history. Voyage to Venus for instance has often been seen as a metaphor for the Apartheid regime in South Africa as much as it is for the Nazis, with the Treens living in a society that is segregated from the brown skinned Therons, whilst also at the same time keeping a race of similar life forms, the Atlantines as their slaves. The Treens were really the Daleks predecessors in British popular culture. A race of utterly pitiless xenophobes who managed to capture the very worst aspects of humanity in general. Its worth noting that their leader The Mekon even inspired the creator of the Daleks, Davros in both personality and appearance. 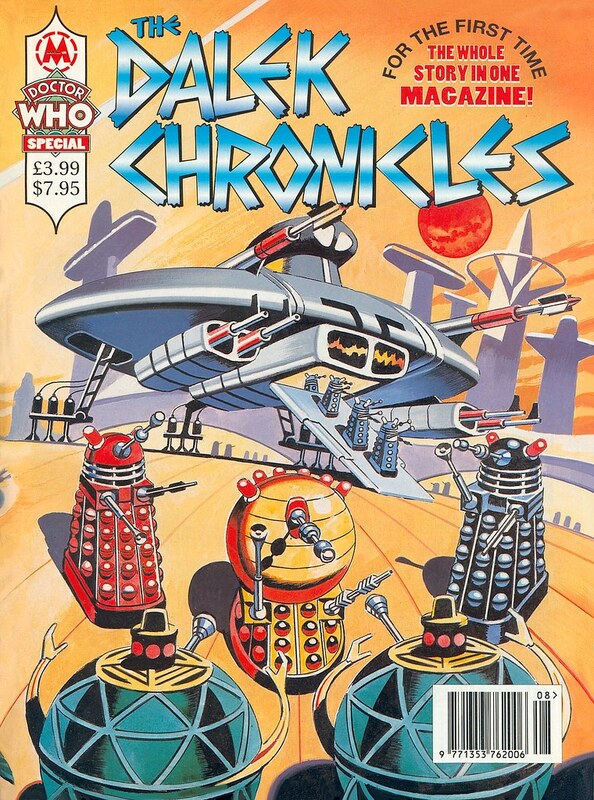 In many ways the Daleks and Davros really replaced the Mekon and the Treens in popular culture. Originally Ridley Scott the director of “Alien” who worked on this story was to have designed the Daleks. Ironically Sydney Newman the creator of Doctor Who hated the Daleks. He felt that there were to be no bug eyed monsters in Doctor Who. The only reason the story was made was on the insistence of then producer Verity Lambert and story editor David Whitaker. This story was saved from being wiped by Ian Levine in the late 70’s. Levine said that if he had arrived at the BBC just a few hours later he would have been too late to save this adventure. Originally this story was to have revealed that the war between the Daleks and the Thals had been started by a third alien race who would have shown up at the end and taken responsibility for the conflict, before bringing peace between the two races. 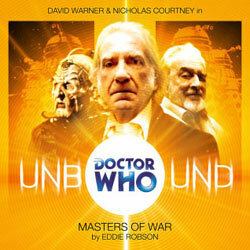 Though this idea was abandoned it would later be revisited in the Doctor Who Unbound story “Masters of War” set in an alternate universe where the third Doctor is played by David Warner. This story sees the Doctor discover that a race known as the Quatch started the war between the Kaleds and the Thals. However unlike the unnamed aliens in Nations original draft, the Quatch are anything but friendly, and try to conquer both the Daleks and the Thals with Davros’ help. It is not clear when this story is set. It is stated by the first Doctor in “The Dalek Invasion of Earth” that this story took place a million years into the future. However this is contradicted in “Planet of the Daleks”, when we discover the Thals refer to the events of this story as a legend, with “Planet of the Daleks” being set only a few hundred years in the future.